is to improve the quality of life for individuals with physical, developmental, emotional and medical challenges through a diverse program of equine assisted activities, therapy services, and educational initiatives. Located in Oldwick, New Jersey, Mane Stream is designated as a Premier Accredited Center of PATH Intl. (Professional Association of Therapeutic Horsemanship, International) who provides education, accreditation and resources for the equine assisted activities industry and a member facility of AHA, Inc. (American Hippotherapy Association, Inc.) who provide education and resources for those integrate hippotherapy into their patients’ plans of care. 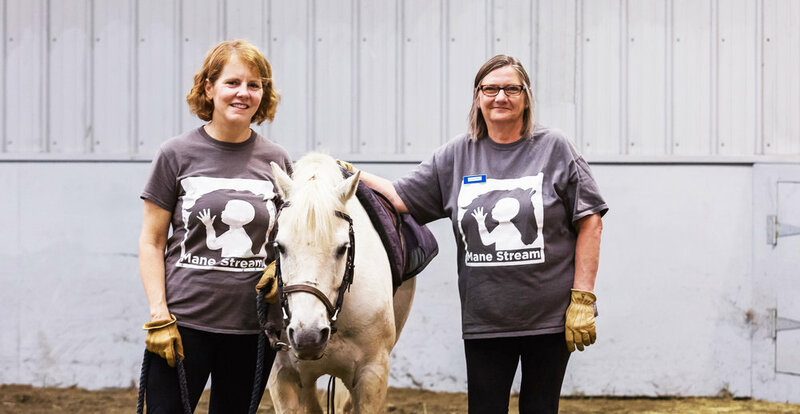 Highlighting Mane Stream's Therapy Services, Adaptive Riding and other programs available. Donating your old vehicle to Mane Stream is convenient, easy, and may qualify you for a tax deduction. And best of all, your donation of a used car or truck will make a big difference in supporting Mane Stream.